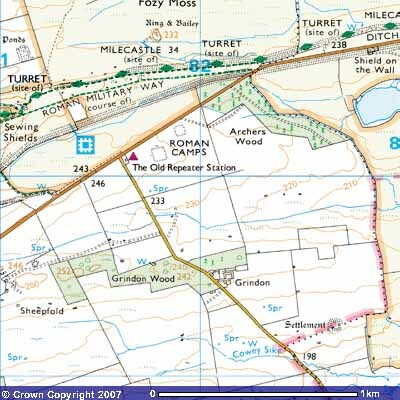 The 'Old Repeater Station' is well situated for walkers and cyclists being close to the most spectacular section of the Roman Wall which lies between Walltown Crags and Sewingshields Crags and near to Housesteads Roman Fort. The property stands almost equidistant between Newcastle-on-Tyne (28 miles) and Carlisle (29 miles), 4 miles east of Twice Brewed and 7 miles west of Chollerford at the junction of the B6318 Military Road & the minor road leading to Haydon Bridge via Grindon. 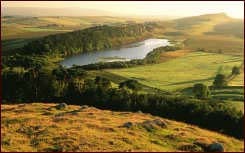 There is relatively easy access to Hadrian's Wall via Sewingshields Crags (approx. 1km) and we are 2 km north of the National Cycle Track route (C72).